War and witchcraft …plots and playhouses … love and loyalty. 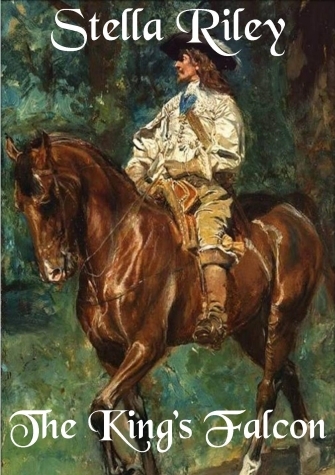 Following his coronation in Scotland, Charles ll leads an army south to reclaim his throne but the dream ends in a crushing defeat at Worcester, leaving no alternative but flight. With little more than the clothes on their backs, Ashley Peverell and Francis Langley manage to reach Paris where Ashley, known to some as The Falcon, resumes his under-cover and unpaid work for the King. Beautiful, stubborn and street-wise, Athenais de Galzain has risen from the slums of Paris to become the Marais Theatre’s leading actress. Unfortunately, this brings her to the attention of the Marquis d’Auxerre – an influential nobleman of unsavoury reputation who is accustomed to taking what he wants. While a recurrence of the Prince’s Fronde turns the city into a battle-ground, Francis is bullied into helping his sister, Celia, obtain a divorce from Eden Maxwell. Currently working as a cryptographer in the Commonwealth’s intelligence service, Eden shares his Cheapside lodgings with an alleged witch and a Catholic Royalist – both of whom he rescued at Worcester. And as he watches Cromwell creating a king-sized space for himself, he begins to question the cause he has been serving for a decade. From the first, Ashley and Athenais are drawn together with the unstoppable force of two stars colliding; a force which Ashley, lacking both money and prospects and conscious of the frequency with which he is required to risk his life, cannot deny but is determined to conceal. He has only two priorities; his work for Charles II and his determination to protect Athenais from the Marquis d’Auxerre. Both are to test him to the limits. 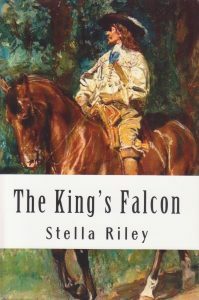 The King’s Falcon follows the Cavaliers’ last crusade and the bitter, poverty-stricken exile that followed, whilst also taking us behind the scenes at Paris’s second theatre. There is danger, intrigue and romance in this sequel to The Black Madonna and Garland of Straw.